Located 20 min walk from a popular tourist spot, Kamakura. 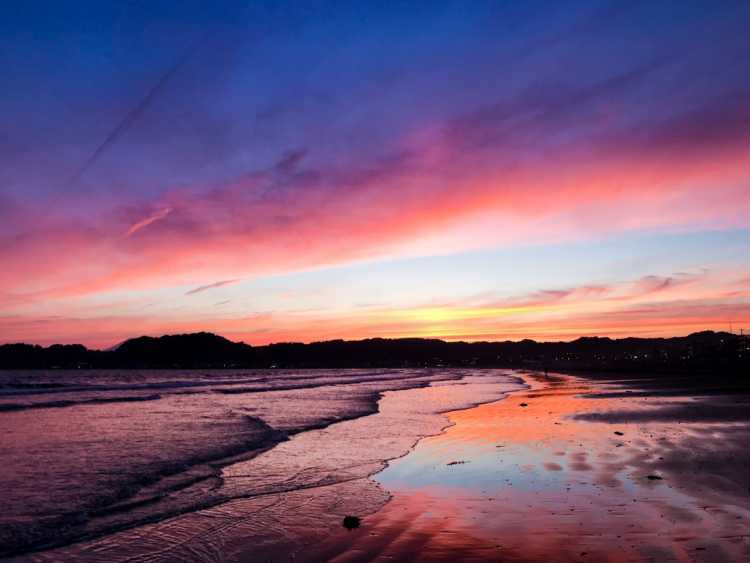 I met the moment of Zaimokuza Beach dyeing the same color of the sky. Only nature creates these colors.